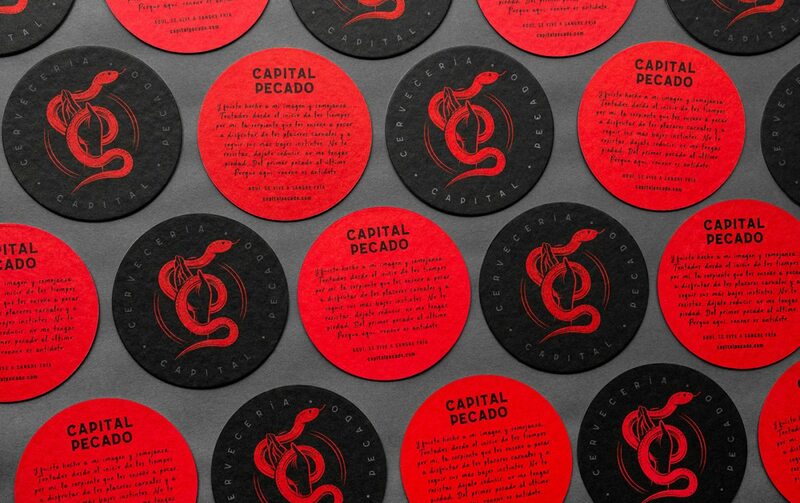 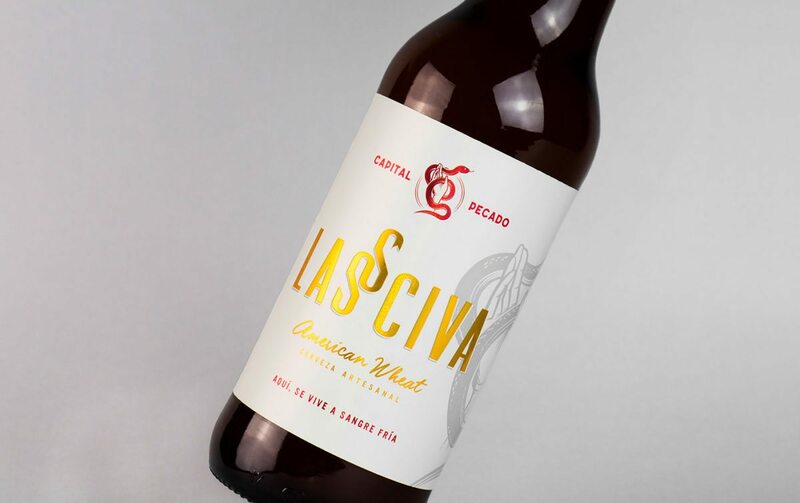 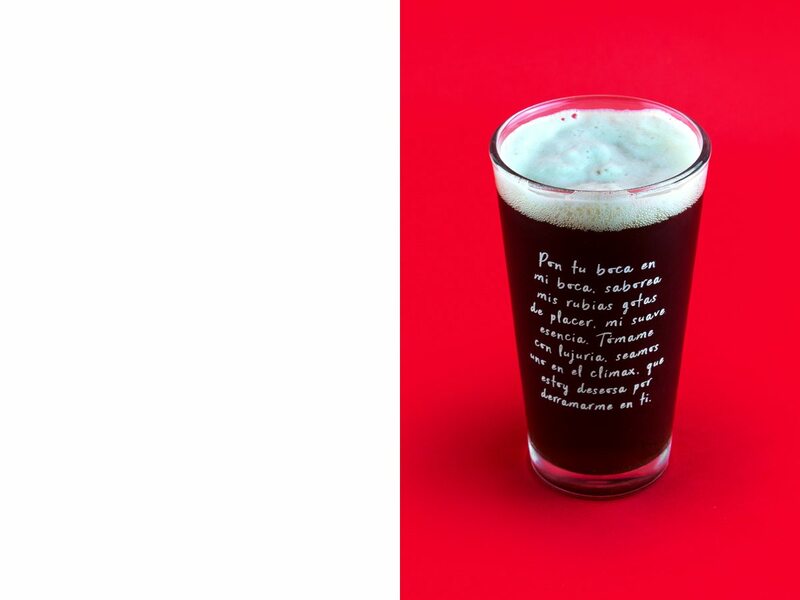 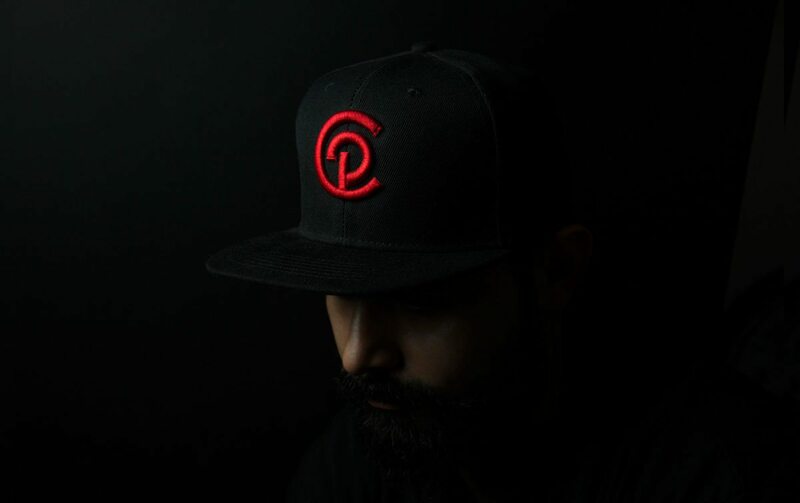 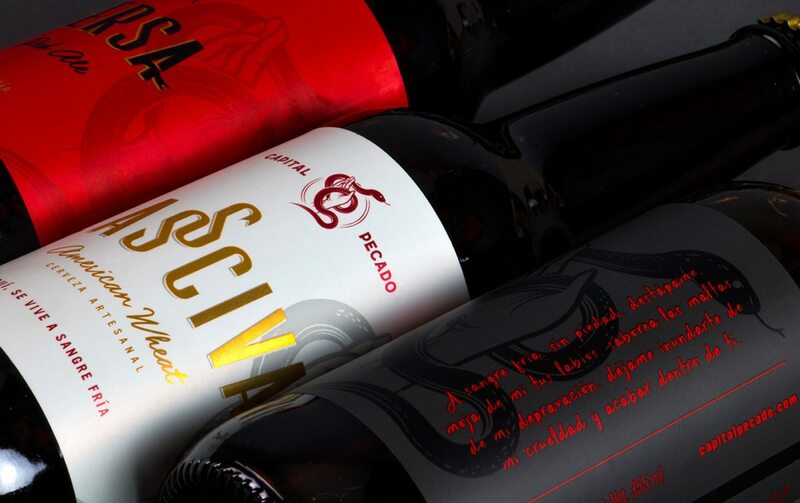 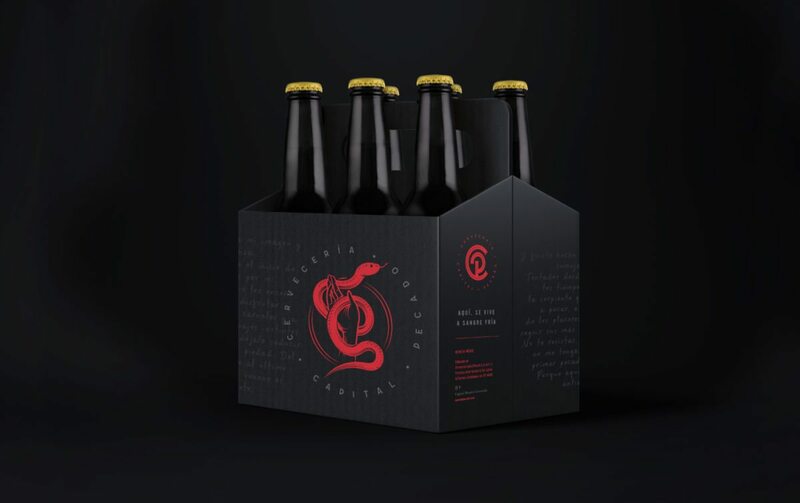 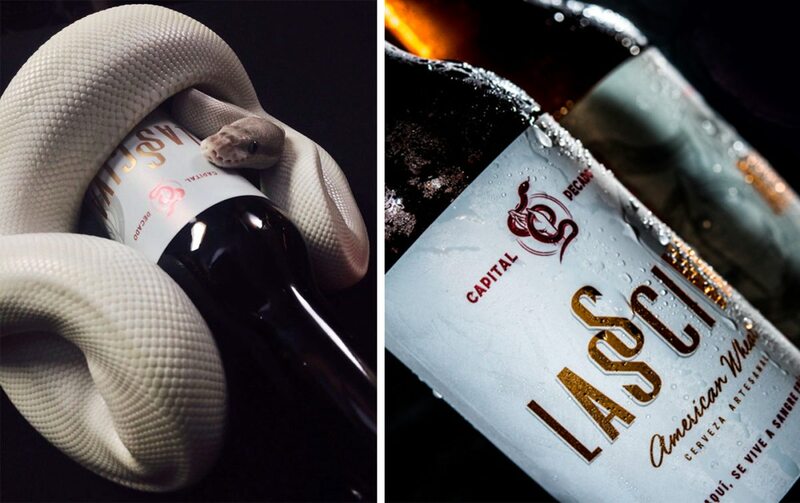 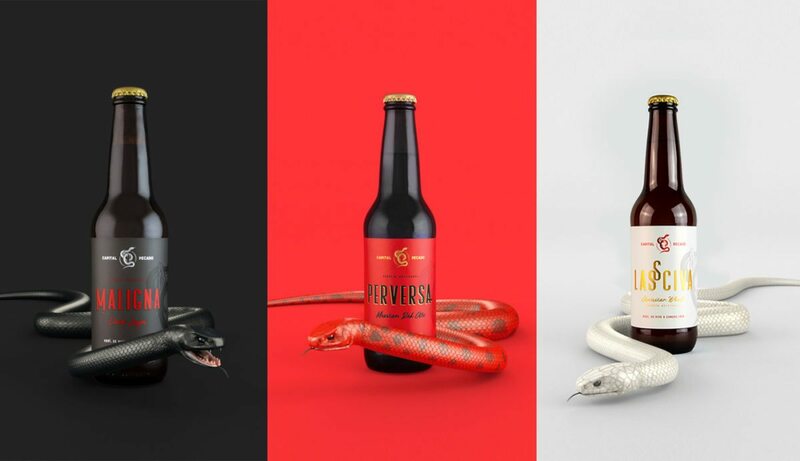 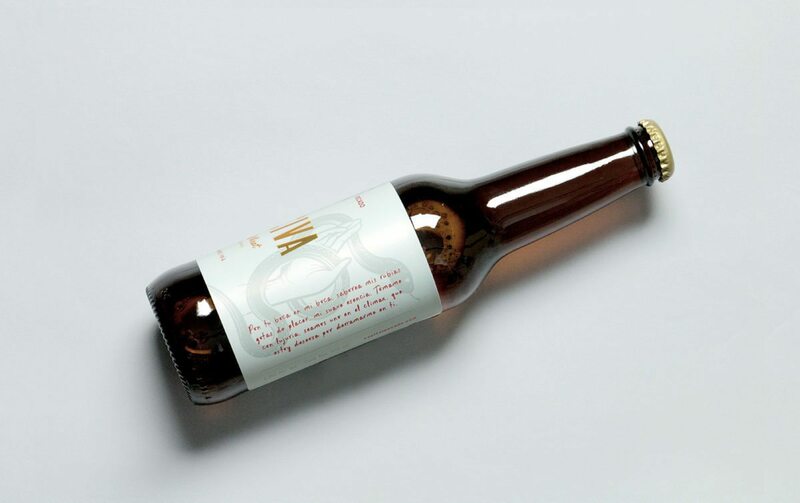 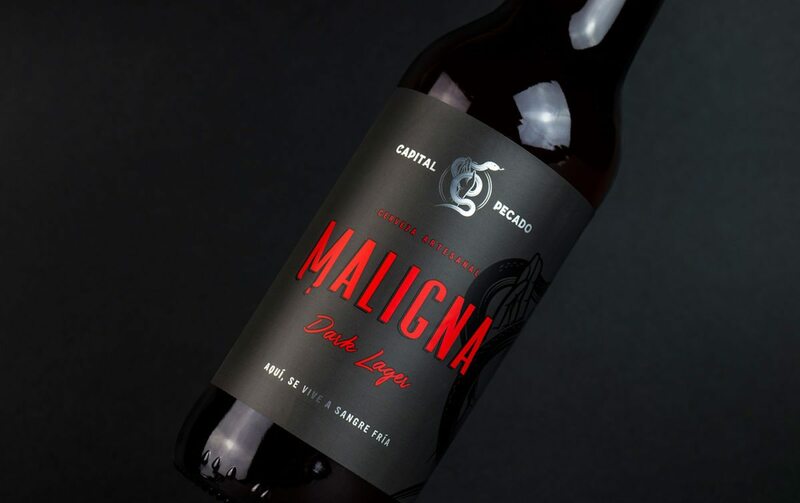 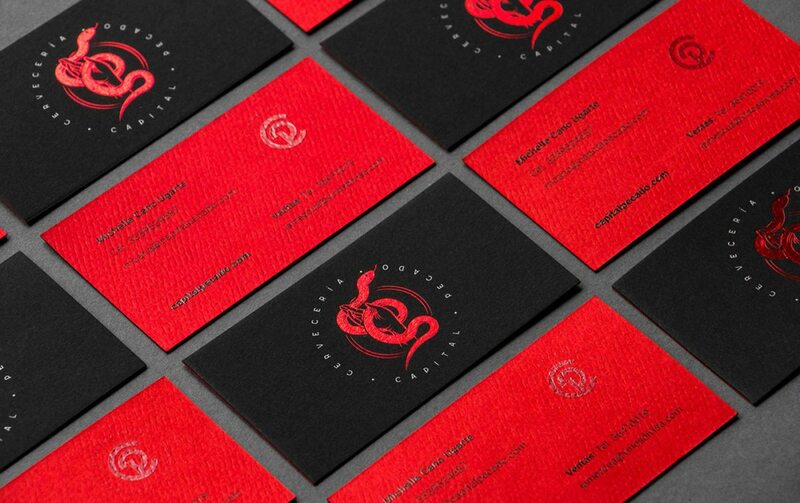 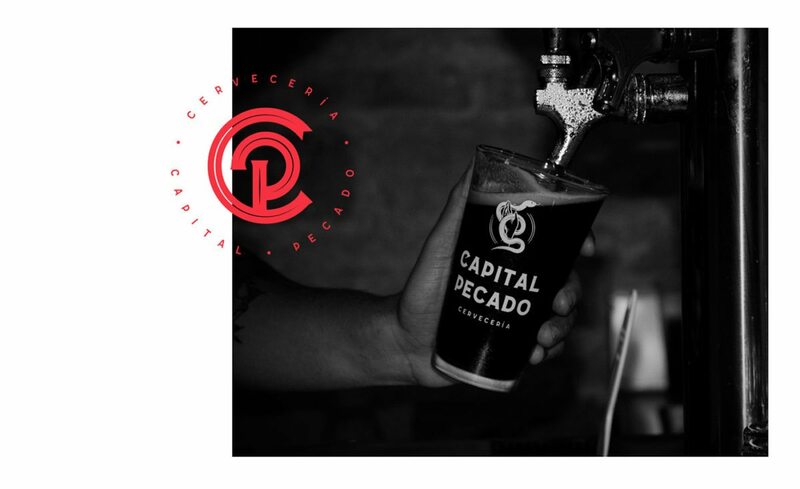 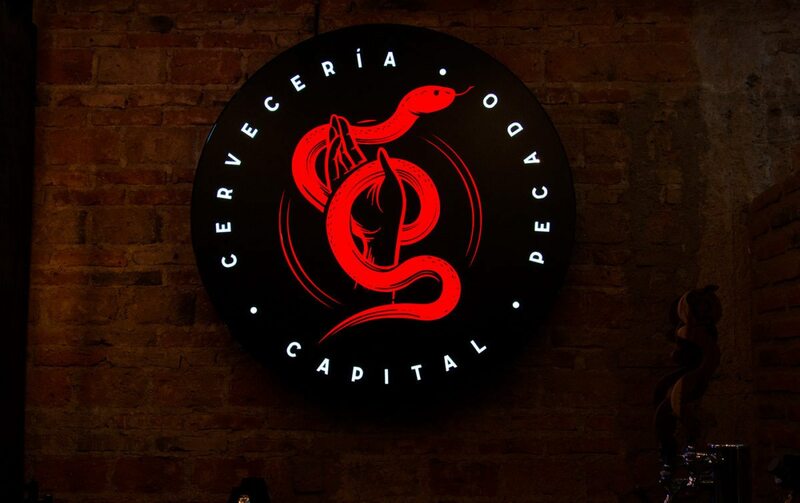 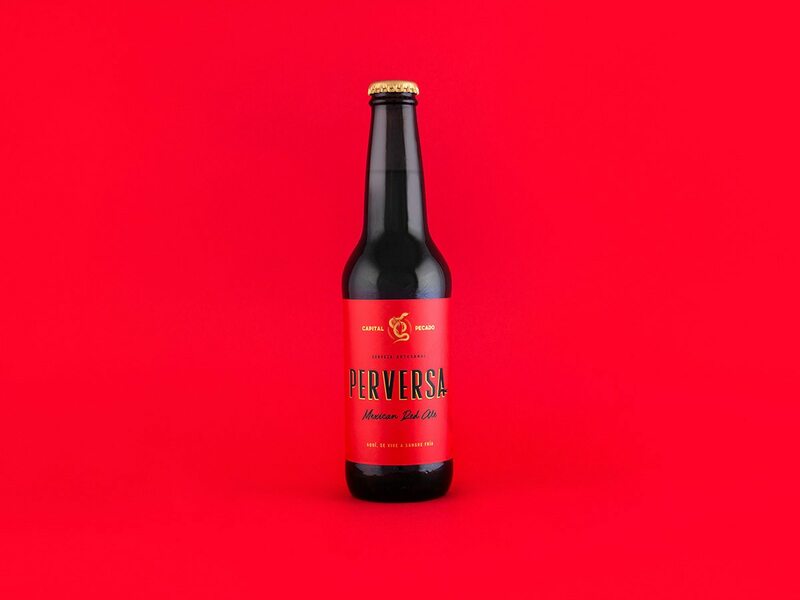 Capital Pecado translates to ‘original sin’, and as such, the logo, copywriting, and overall brand comes from the perspective of the snake in the Garden of Eden, tempting you not with an apple, but beer. 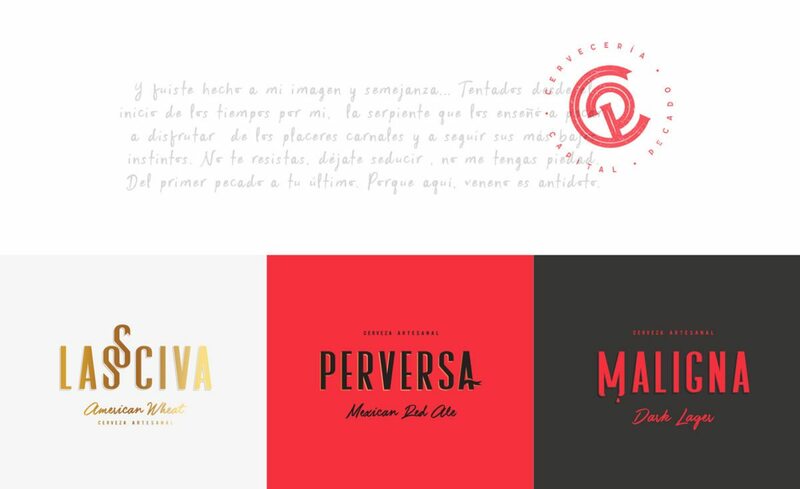 The apple is still heavily referenced in the bright red of the brands’ palette. 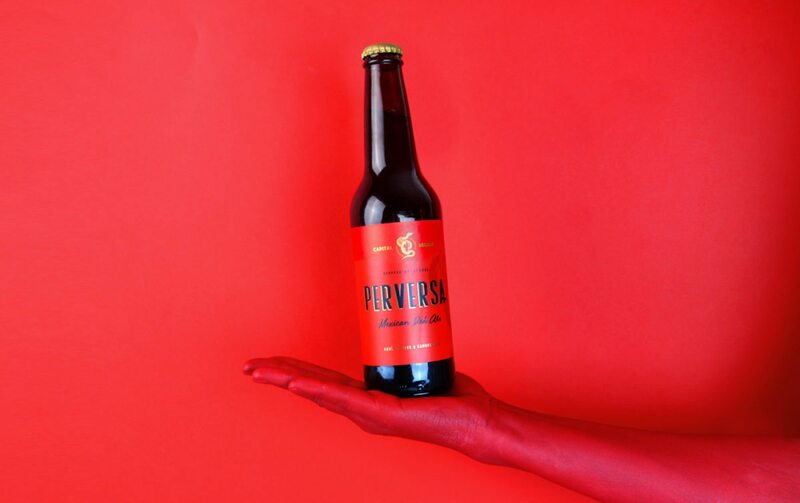 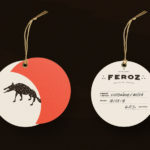 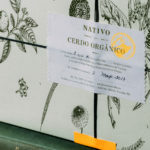 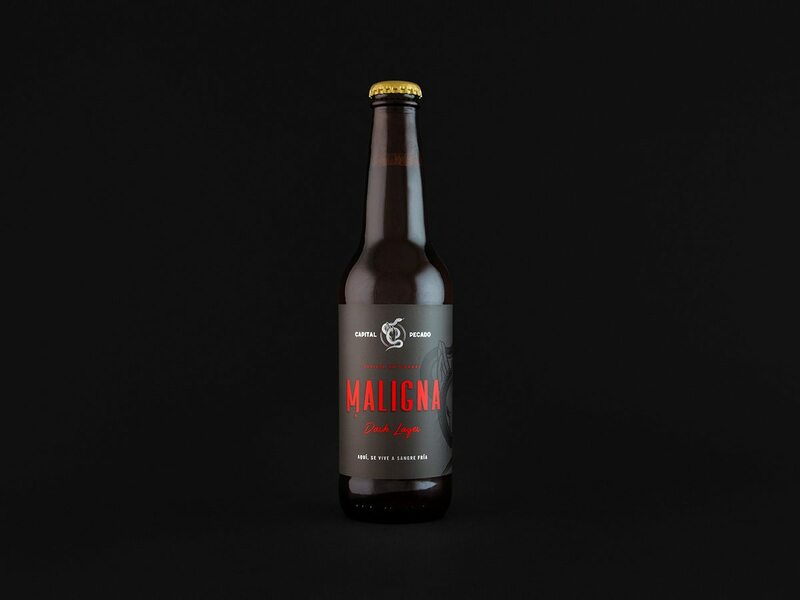 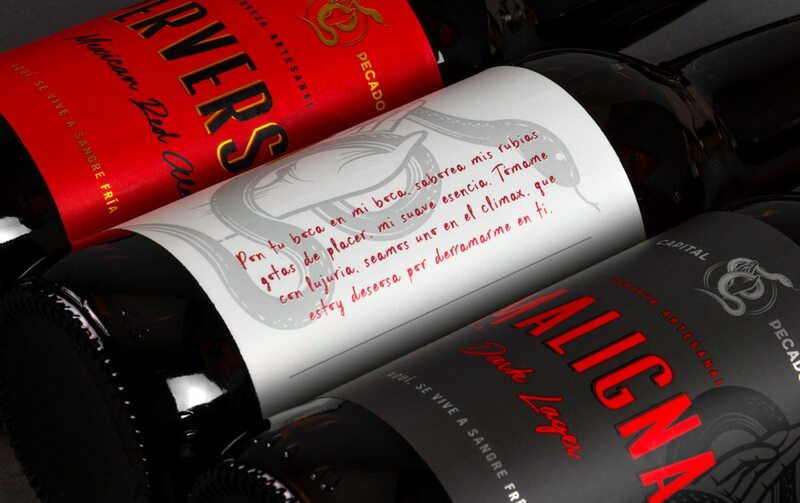 The names of each of the offerings also relate to other ideas of sin; Lassiva (a word play incorporating a snake’s hiss on the Spanish word ‘lasciva’) translates to lascivious, meaning lewd; Perversa means perverse, and Maligna means malignant. 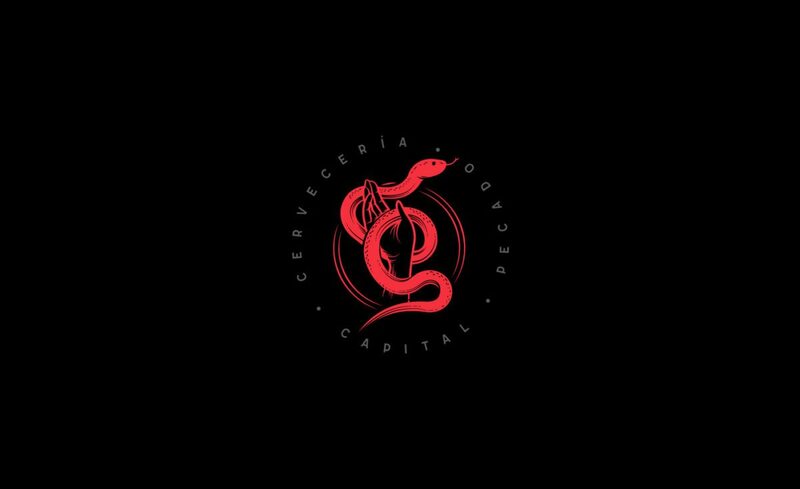 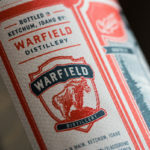 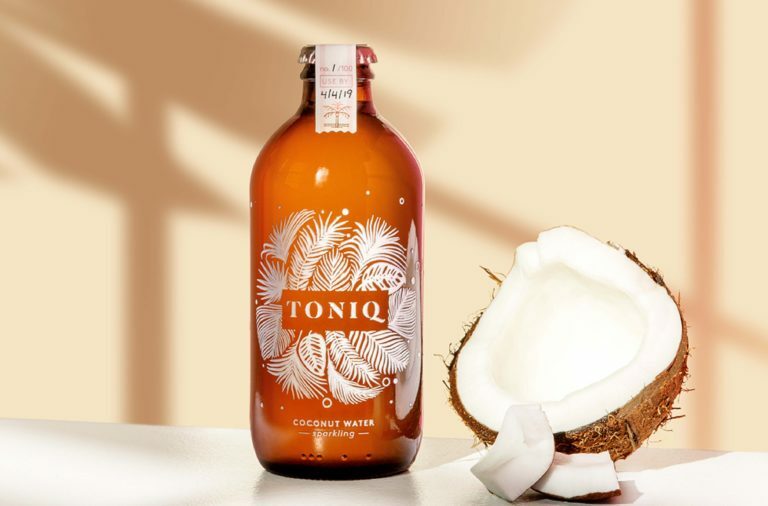 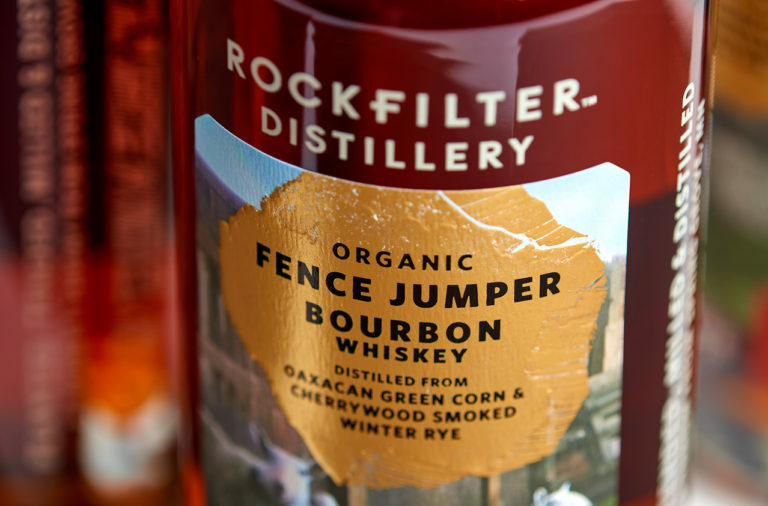 I could honestly go on and on about the hidden meanings and conceptual design surprises hidden throughout this brand, but really you should look for yourself. 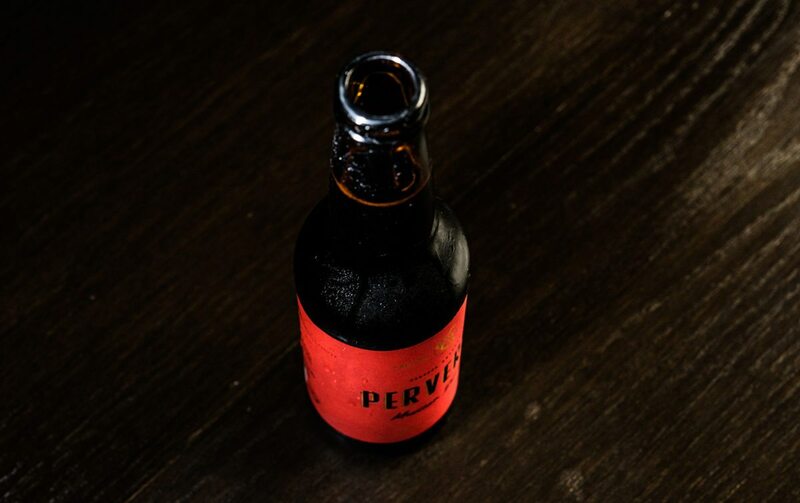 It’s too good to not give it a look through. 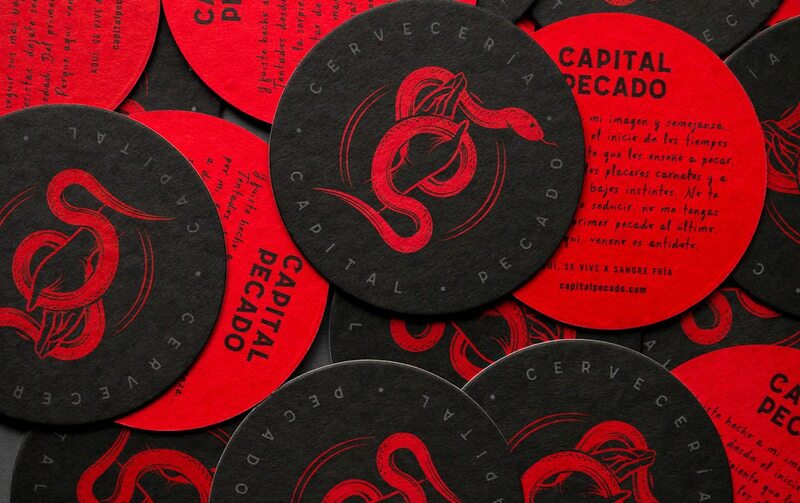 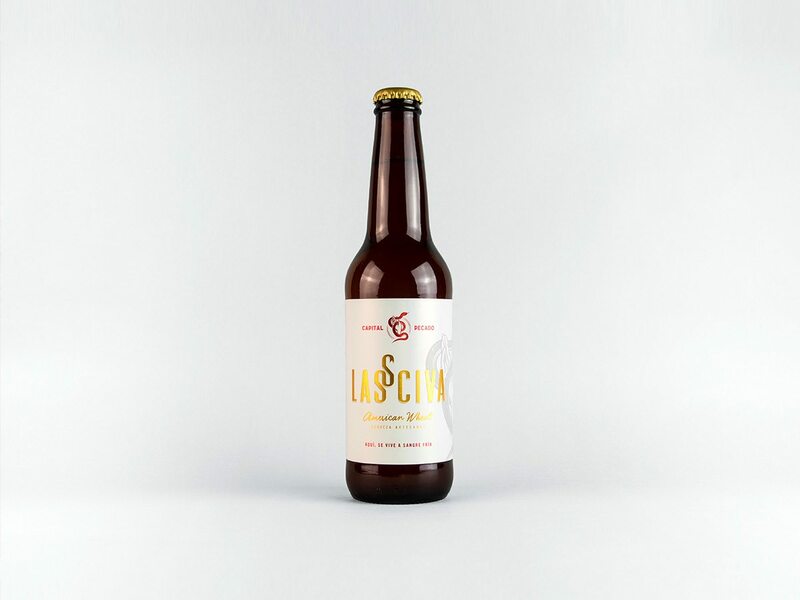 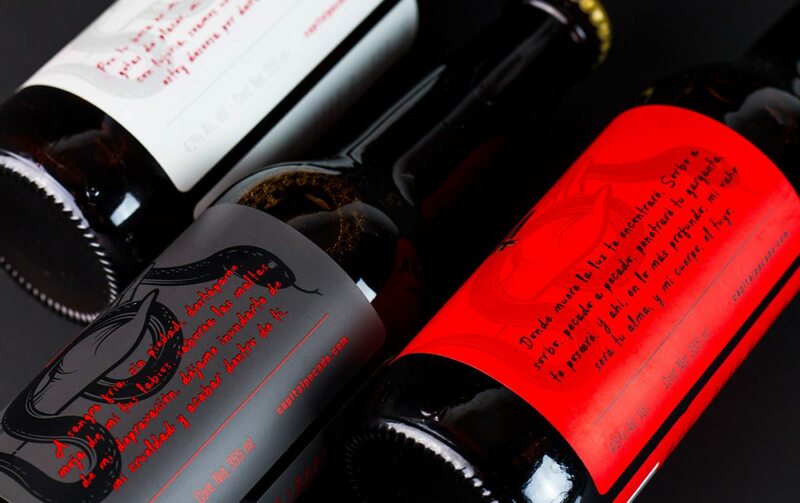 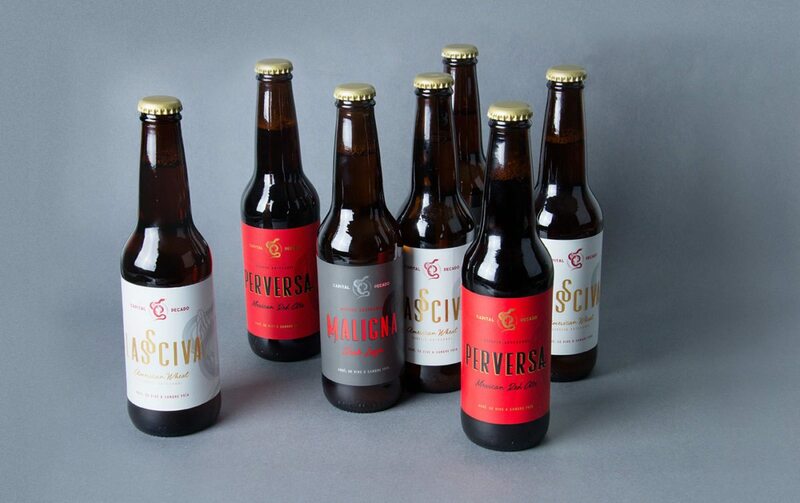 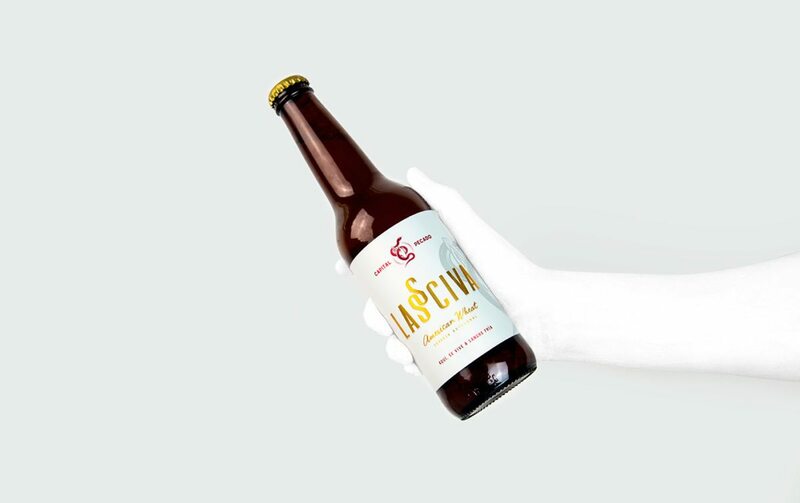 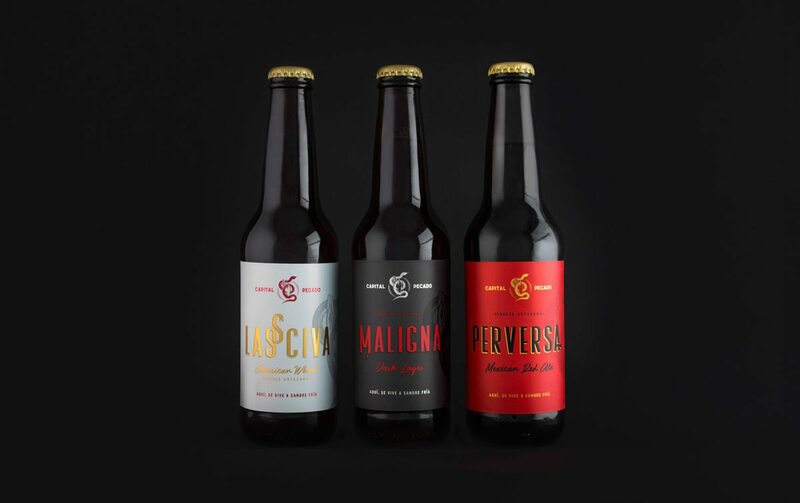 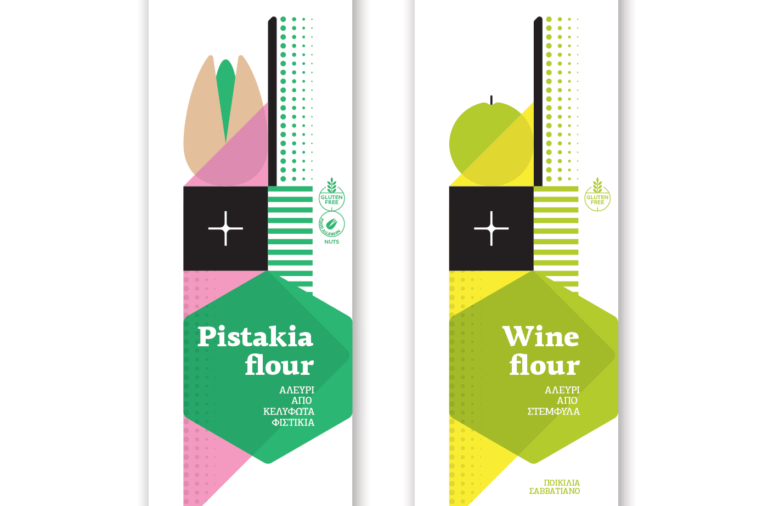 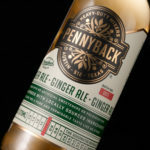 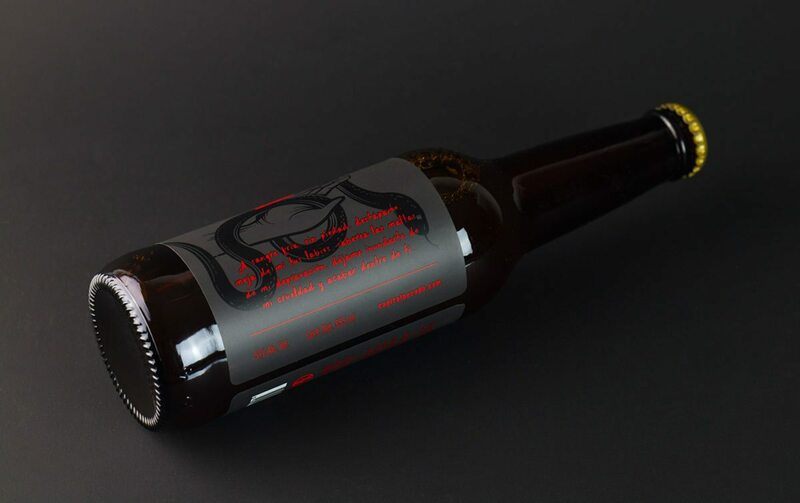 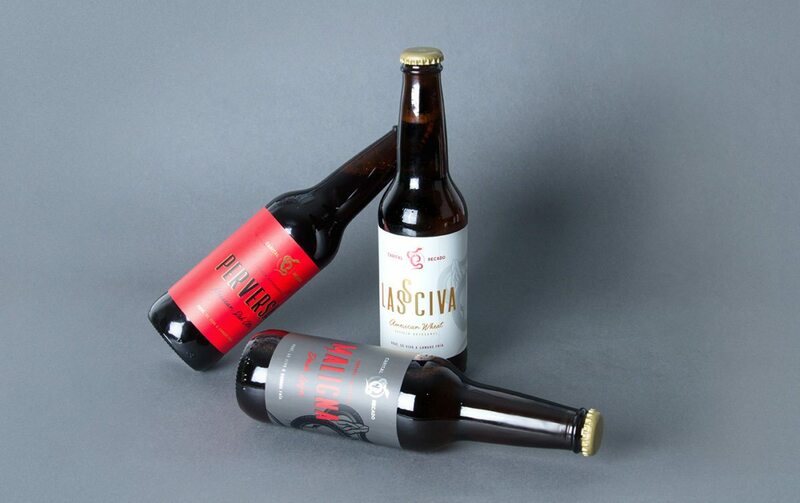 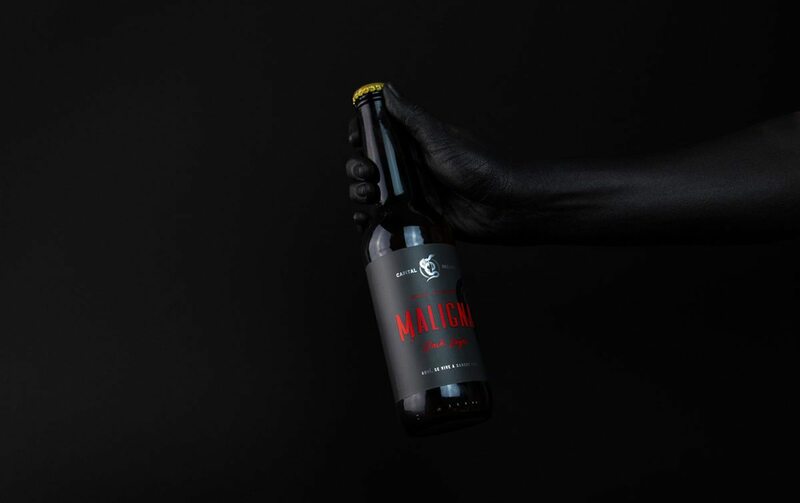 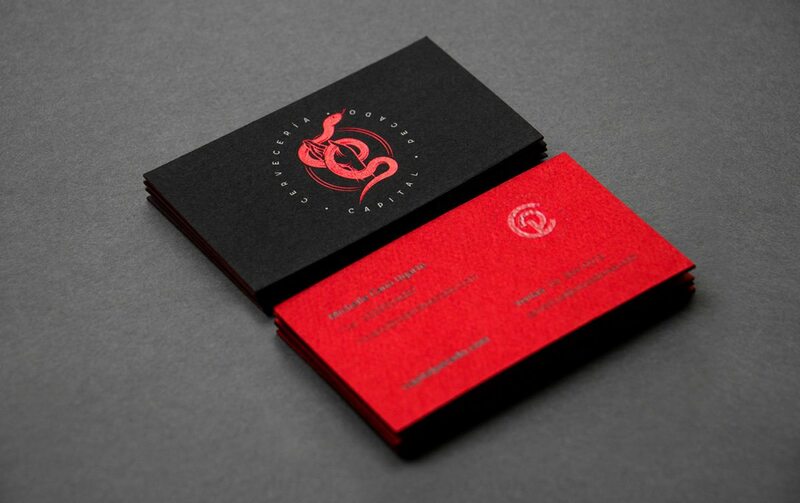 Capital Pecado Cerveceria Branding & Packaging by Estudio Albino.